Its with bittersweet news that we're announcing Feed Me has a new home – with Pixel & Tonic! Feed Me has been officially acquired by the Craft team and they'll be taking over development and support for the plugin. 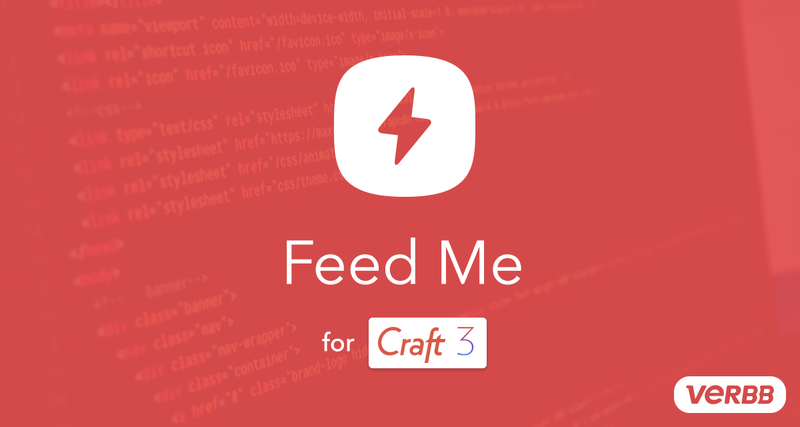 On the one hand, we're very excited to see what Craft has in store for Feed Me. On the other, sad to let Feed Me go. Its taught our team so much about how Craft works, touching almost every aspect of Craft's content modelling, queues and more. We feel we've put our heart and soul into the plugin, so its always sad to say goodbye. Pixel & Tonic (the Craft team) will take ownership of the Feed Me plugin effective immediately, along with the docs, which can now be found here. The plugin will still be available on the plugin store, and via Github. In addition, the plugin will now be completely free, with no Pro edition. You can get all of Feed Me's functionality for free! Pixel & Tonic will be taking on any support and help with the plugin, so if you need help, reach out through their Contact Form. Verbb will no longer be offering official support for Feed Me, but if you're lucky, you might find the team helping out on the Github repository! We're looking forward to seeing how Craft evolves Feed Me into its own, first-party export and import solution! We're truly honoured to have contributed towards this end goal. There's exciting times ahead for Craft for sure. We couldn't thank all our loyal users enough for their years of support, through PR's, bug reports and strives to improve Feed Me. Don't hesitate to get in touch via Twitter, Discord or Contact us if you have any questions.